Egg farmers are committed to producing safe, high-quality eggs and keeping their hens healthy and free from disease. “The first and most important step is prevention. But if a hen gets sick, the humane thing to do may include giving antibiotics to help it return to good health. Not only is that what’s best for the hen, it also helps make our eggs safer,” said Dr. Larry Sadler, UEP’s Vice President of Animal Welfare. Egg farms may use a limited number of FDA-approved antibiotics, provided they comply with FDA guidelines for usage. The FDA sets standards that let farms know exactly how much medication to give to help an animal recover from an illness. These strict FDA regulations and regular testing are designed to ensure antibiotic residues are not found in eggs in the food supply. Due to the effective use of vaccines and on-farm disease prevention, only a small percentage of egg-laying flocks ever receive antibiotics. If they do, it is under the supervision of a veterinarian and only for a short time to treat a specific disease or to prevent a recurring disease. Eggs from hens treated with antibiotics cannot enter the food supply until they are totally safe. It’s important to know eggs can only be labeled as antibiotic-free if egg farmers choose not to use any antibiotics in feed or water as the pullets (young hens) are growing or when hens are laying eggs. Certified organic eggs must be antibiotic-free by regulation. When FDA started tracking antibiotic sales for food-producing animals in the U.S., there was a steady increase in use, but in the past few years, a new trend has emerged. Sales of antibiotics important to human health have dropped 41% since 2015. Chickens account for only five percent of the estimated sales of medically important antibiotics. Making sure antibiotics remain safe and effective is an important responsibility shared by many, including farmers, veterinarians, and animal health companies. 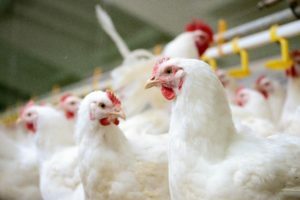 Well before the FDA issued guidance and regulations related to antibiotic use, the American Association of Avian Pathologists (AAAP), with the American Veterinary Medical Association (AVMA), developed judicious use policies.